This session took place on May 23rd. 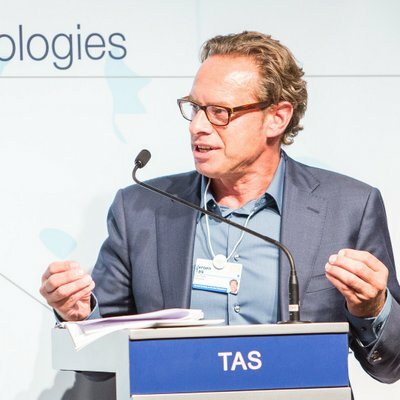 Jeroen Tas is a Chief Innovation & Strategy Officer and member of the Executive Committee at Royal Philips. He has more than 30 years of global experience as an entrepreneur and executive in the healthcare, information technology and financial services industries. Earlier in his career, Jeroen was a co-founder of the IT company; Mphasis. He also ran the Technology Lab at Citigroup and launched Internet banking in the mid-90s. Nowadays, Jeroen is responsible for the company’s strategy, research & development, design, medical affairs, sustainability, platforms and emerging businesses. As Chief Innovations & Strategy Officer he plays a central role in the transition of Philips to a customer-centric digital solutions company. He will leverage emerging technologies such as artificial intelligence, robotics and the Internet of Things to reinforce the company’s health propositions aimed at supporting consumers, care professionals and health systems with personalized connected health solutions.